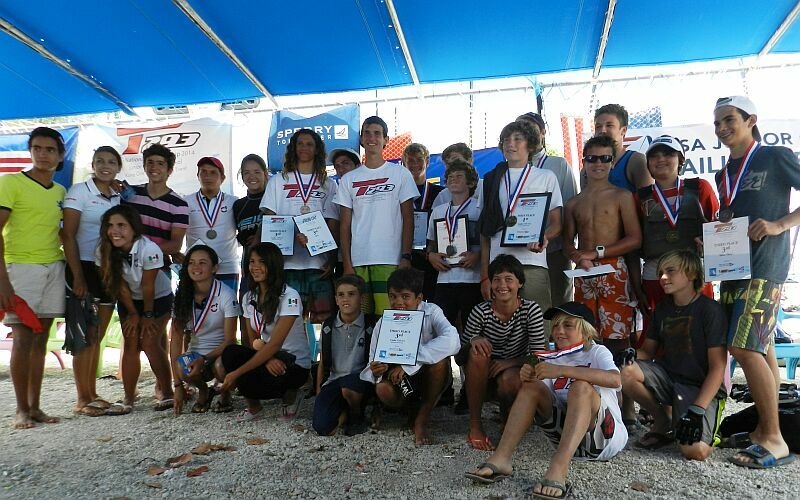 All Smiles at the 2014 US Techno Nationals in Miami, FL! 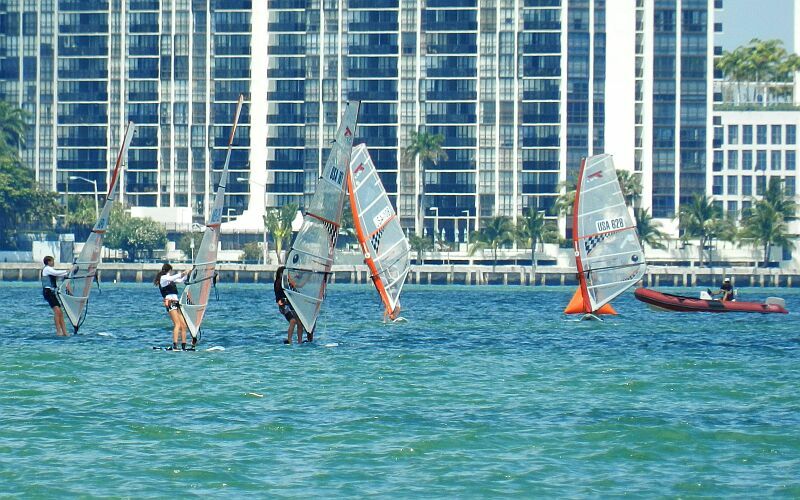 Youth and talent were on display this weekend in the Sunshine State: nearly 30 young racers converged to Miami, Florida for the 2014 US Techno Nationals and RS:X Spring Festival. It was a great opportunity for everyone to reconnect, take stock of the competition and iron out the kinks ahead of the summer racing campaign. 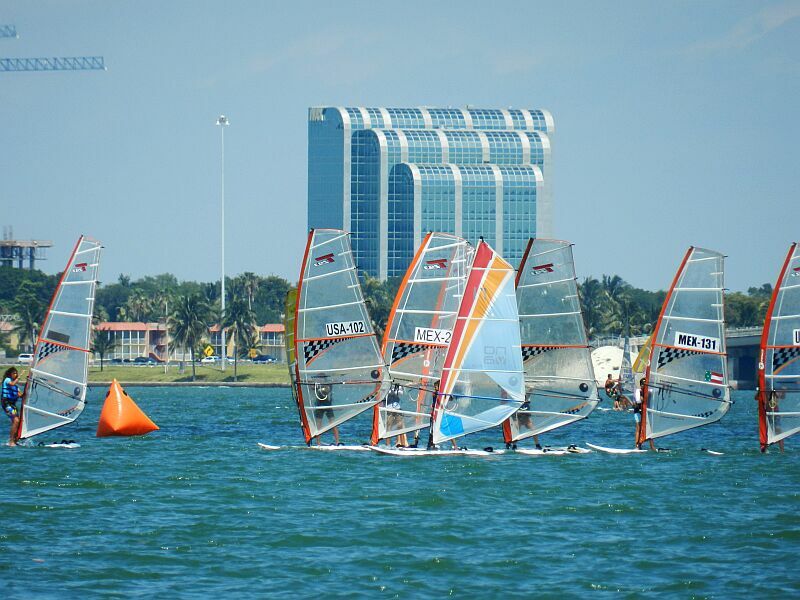 Mack and Steven Max traveled from Aruba for the event to test their skills against the best racers from the US, and they were joined by a strong contingent from Mexico: among them Mateo Salles, who confirmed his 5th place at the North Americans earlier this year with a 5th place in Miami; and Mariana Aguilar who served notice that she’s the girl to beat in the Techno Class in North America right now, and will surely be a force to be reckoned with this summer at the Worlds in Brest and at the Youth Olympic Games in Nanjing. 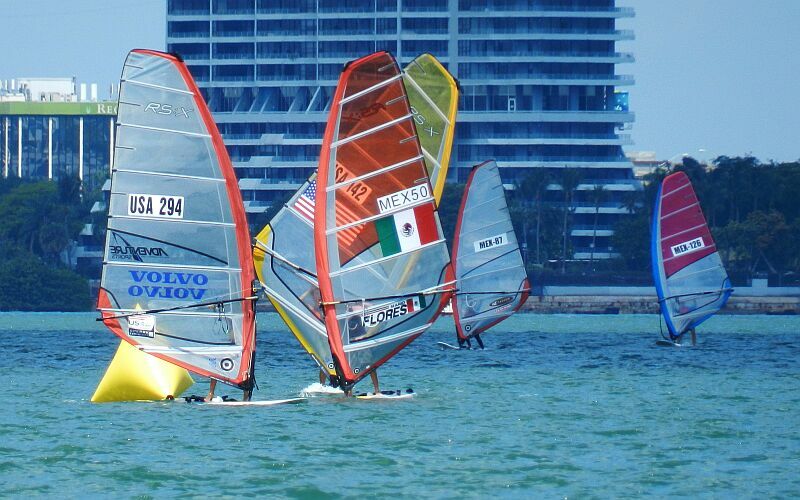 The US National Techno title went to local hero Maximo Nores, ahead of Steven Cramer and Maximo’s brother Geronimo Nores: the same triumvirate that ruled the North American Championships in Cancun two months ago, and will be carrying the flag for the US at the European Championships this week in Italy. Those kids do get around, don’t they? What made the US Nationals a great event for those kids? “It was great to race with people from outside the US,” said Maximo. “The best part was meeting racers from other countries,” added Mariana. 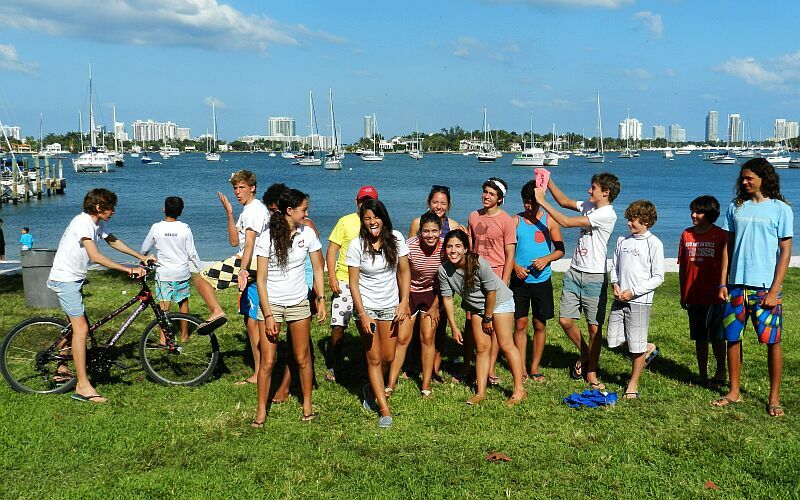 The Miami Yacht Club and the Miami Youth Sailing Foundation ought to be commended for running a great event, but more importantly for helping keep the momentum going and creating yet another occasion for kids from North, South and Latin America to get together, learn from one another and raise the bar for everyone. 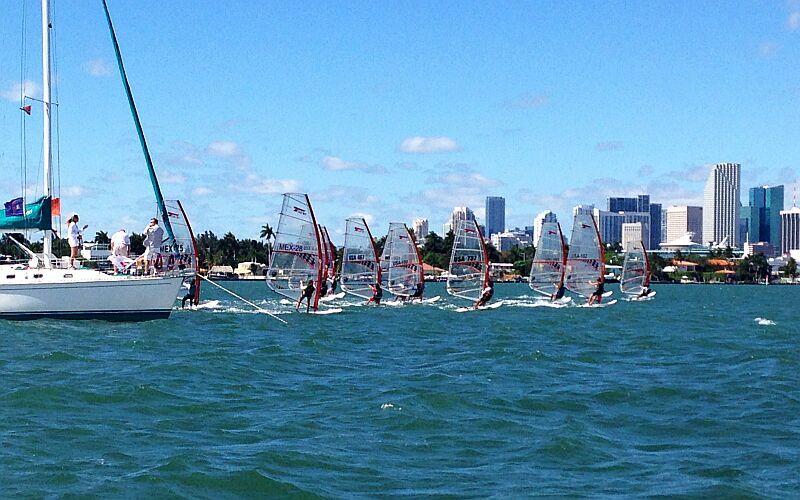 Gold and Silver Fleets Ready to Pounce at the 2014 US Techno Nationals! Clowning Around at the 2014 US Techno Nationals! Felicitaciones, que linda foto con tantos nietos. Buenos vientos y mucha garra en Italia, SUERTE!!! Previous story Steven Cramer reports from Cancun!